How To Startup & Make Money As People’s Personal Outlet? 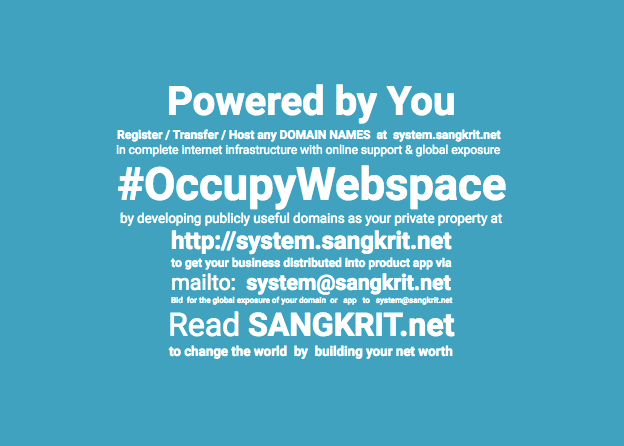 Working as Personal Outlet of SANGKRIT.net is the simplest way for you to get home-employed and stay financially free by empowering the greatest ever movement #OccupyWebspace. You get the management of other websites/apps by making them good offers such as bringing down their web/app running cost. You get projects done by buying necessary programming power and online support from system@sangkrit.net or any other outlet you are connected with. Possibilities are endless, you can grow your business by employing others to build your own chain of personal outlets. Previous PostHow To Extend Google AMP Design Options On Your WordPress Website?Next PostHow To Design Your Website When You Are Not A Developer? All important details have been emailed to you.